Acupuncture is an Oriental from of therapy for many medical problems in which the results are achieved by inserting fine needles in various active points on the body. Acupuncture and Chinese herbal medicine treat individual people rather than isolated symptoms; therefore any condition that can be understood as an imbalance in the body¡¯s systems can be treated and altered. Once a pattern is correctly identified and treated, it is common for many of the symptoms associated with this pattern to improve even ones that didn¡¯t seem related to the initial condition. 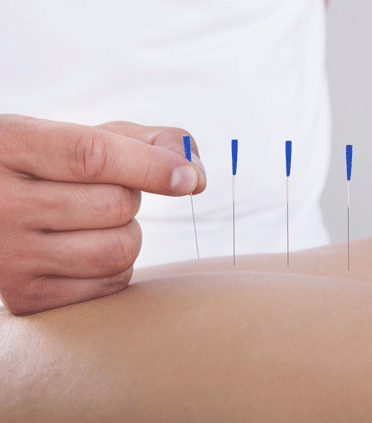 Treatment of any health issue with acupuncture and herbal medicine does not replace a physician¡¯s care. It is important to utilize both medical systems, as each one has its own strengths and weaknesses. A better question would be ¡°How many treatments will be necessary until I know if the treatments are helping?¡± The answer to this depends on a number of factors, including the severity and duration of the problem, as well as its complexity. An issue that has been troublesome for many years tends to require more treatments than a recent problem. Initial improvements for long-standing problems may be more temporary. As treatments progress further, improvements become more sustained. Any acupuncturist licensed in New York State has been thoroughly trained in and tested on OSHA standards for disease transmission prevention. At the East Mountain Center, as is the rule throughout our profession, only sterile, disposable single-use needles are used. Prior to each needle¡¯s insertion, the skin at each point to be stimulated is cleaned with alcohol.